It was only a week ago when tragedy struck Newtown, Connecticut. Twenty-six people murdered in a school shooting that has riled up a nation. Over the past few days, coverage in the news has been about the innocent victims, their families, gun control, politics, and finding out what happened. 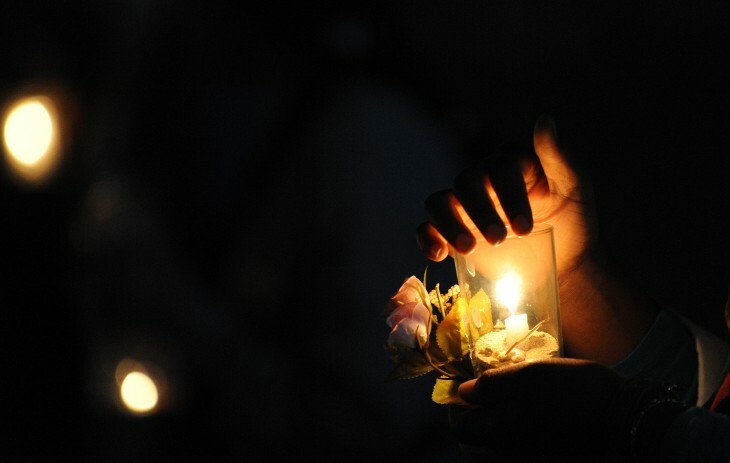 And amongst all the chaos, on Friday, December 21, Connecticut Governor Dannel Malloy has called for a national moment of silence in honor of the victims. The Internet wants you to join them and help pay tribute and reflect. Started by famed artist and entrepreneur MC Hammer and super angel investor Ron Conway, this new campaign is powered through Causes.com and wants to share this event with as many people as possible. Joining this cause are some celebrities of the screen and stage, along with tech industry leaders as well. Former Napster founder Sean Parker, Square and Twitter co-founder Jack Dorsey, Britney Spears, Suze Orman, Tyler Florence, NFL legend Joe Montana, Goldie Hawn, Ryan Seacrest, and many others invite you to participate. On Friday, December 21 at 9:30am EST, the action is simple: take a few minutes out of your day to reflect on this senseless tragedy. 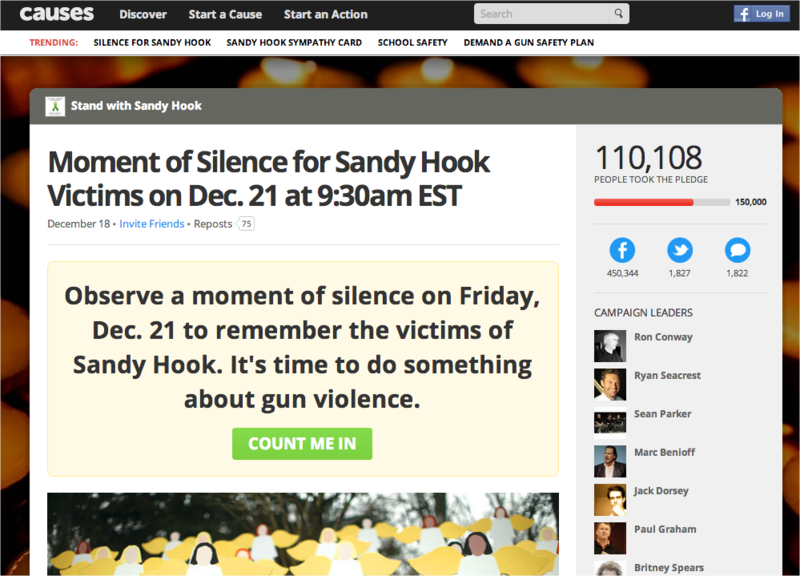 Those joining the cause can put a badge on their website or blog to spread the word and all reactions and tributes will be using the hashtag #momentforSandyHook. Currently over 105,000 people have pledged to support this cause and it’s been shared on Facebook more than 437,000 times, more than 1,700 times on Twitter.